When it comes to a child learning at home, there tends to be a lot of misunderstanding. 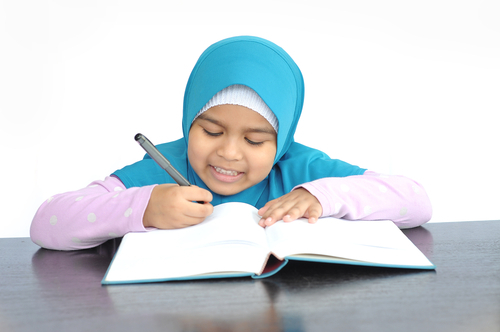 In fact, there may be no other group subject to more stereotype than homeschooling families. 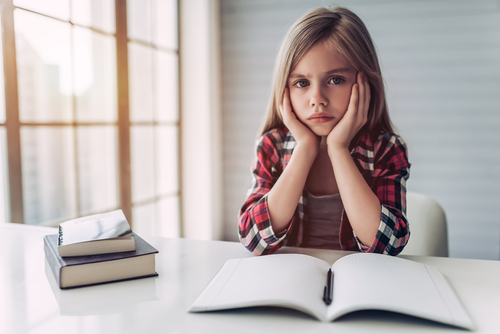 But as the number of homeschooled children in the United States continues to skyrocket, many of the most common myths and misunderstandings are being clarified. Below, we list 30 of the most common misconceptions about homeschoolers and homeschooling, and explain the truth about this popular educational system. The most common misconception about homeschoolers is the idea that homeschooled children are less socialized than their peers. This is a total myth! In fact, homeschooling often includes getting out of the designated learning space, and a typical day can include family, neighbors, friends, and community members. Such daily interactions help form relationships and good communication habits. This is far more beneficial than what students get from a typical classroom environment — that is, day after day spent with the same authority figure and classmates. 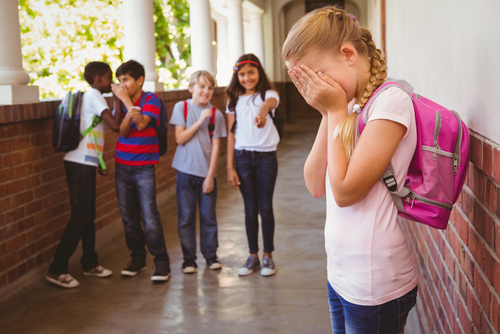 In 2000, the Discovery Institute conducted a study in which trained counselors found homeschooled children to not only be “well adjusted,” but to also exhibit fewer behavioral problems than their traditionally schooled peers. 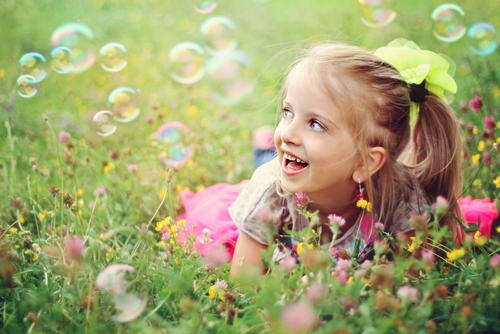 While it’s true that homeschooling often leaves more time for a child to play and be a kid, it’s a massive mistake to assume that homeschooled children simply spend every day at play. Most homeschoolers work on schoolwork on a strict schedule, with breaks spent doing necessary household chores. 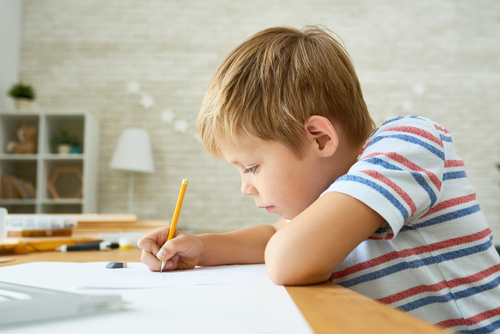 It’s also important to remember that homeschooling enables a child to work at his or her own pace; a child who stays focused long enough to complete his or her required work quickly will have more time to play than the child who needs a little extra time. Religious reasons don’t even make the top five! Parents aren’t qualified to be teachers. In recent years, there seems to be a movement away from the idea that a child’s parents are the most important teachers in his or her life. In reality, parents are just as qualified — if not more qualified — to teach their children than are teachers in a school. After all, it’s parents who teach children how to walk, eat, use the toilet… you get the idea. Much of this argument revolves around teaching specific subjects, yet homeschooling parents have hundreds of resources at their disposal. For example, a parent uncomfortable with teaching geometry can find myriad tutorials online. 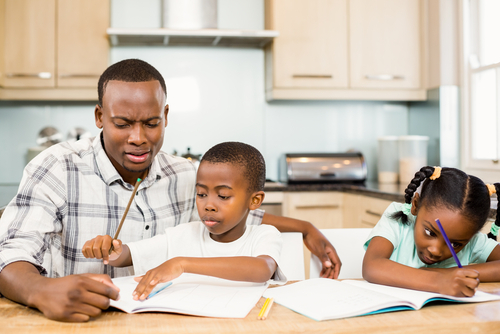 Many homeschool parents join a co-op or cottage school to take advantage of another homeschool parent’s strengths. There are even online schools through which students can take one or more subjects. Only incredibly intelligent and accomplished parents can homeschool their children. The average homeschooling parent isn’t a genius, nor did they graduate at the top of their class at an Ivy League university. 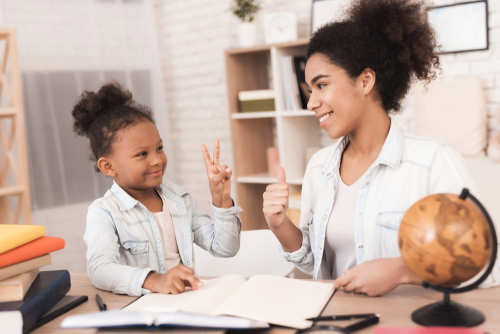 While most parents have one or two subject areas in which they’re particularly strong, nearly every homeschooling mom and dad ends up learning along the way. 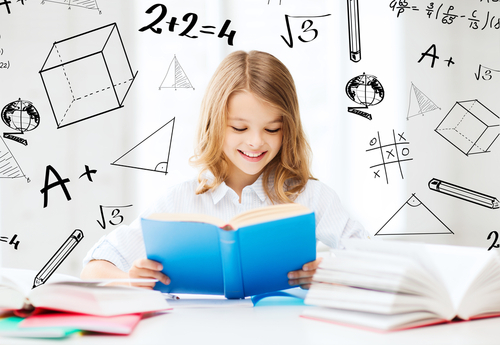 Fortunately, there are some excellent homeschooling curriculums out there to guide the student — and the parent — through everything they need to know. In order to homeschool your child, you must be a stay-at-home parent. It’s easy to see why this has become a common misconception, but the truth is that not every homeschool parent stays at home. Some do, of course, and some work full time along with their spouse. Others are single parents. While every homeschooling family must overcome their own challenges, prospective homeschool families should know that there are plenty of parents who work full-time. So how do they do it? Lots of patience, lots of self-discipline, and a carefully chosen curriculum that fits the families’ needs. Only wealthy families can afford to homeschool. This common myth likely stems from another myth: that all homeschooling parents can afford to stay at home and teach their children because their spouse makes enough money to support the whole family. In some cases, this is probably true, but it’s certainly not accurate for every homeschooling family. Homeschooling families come from all tax brackets, and many homeschooling parents find a way to contribute to the family finances in one way or another. Others just make whatever sacrifices are necessary to provide their children with the desired education. Families who homeschool are poor. Amusingly, this myth is just as common as the misconception that all homeschooling families are wealthy. In reality, homeschooling families average annual incomes of $75,000 to $80,000 (the national average is $79,000). A family’s income has proven to have little effect on a homeschooler’s performance. According to a 2009 study, homeschoolers consistently score in the 80th percentile of state standardized tests. Conversely, income has repeatedly proven to affect children in the public school systems, with children from low-income families almost always performing worse than their wealthier peers. Homeschooling is only successful if the student is gifted or above average. -they are struggling with a learning disability. There aren’t many homeschooling resources. Those unfamiliar with homeschooling might mistakenly believe that resources are few, and that homeschooling parents are required to come up with entire curriculums on their own. Fortunately, nothing is further from the truth! A simple Google search of “homeschooling curriculums” brings up thousands of options, many of which can be tailored to fit an individual student’s needs. There are some which provide workbooks and paper assignments, while others are entirely online. No matter how you envision your homeschool experience, every day new resources appear, designed to fit the unique needs of homeschooling students. Homeschoolers don’t learn the “right things”. Every state has a basic set of requirements that even homeschoolers must prove to have satisfied. It’s also important to remember that many families choose to homeschool because they don’t believe public school actually teaches the right stuff, either. Homeschooling curriculum includes all of the basic subjects, plus myriad other topics so that a family can find exactly what’s “right” for them. Homeschooling is freedom! Children who learn at home can learn as quickly or as slowly as they need. They can work on their own schedule and learn in an environment that’s comfortable to them. They can also choose the subjects that most interest them (besides the basics, of course). There is absolutely nothing restrictive about homeschooling! Nope, just another common misconception about homeschoolers and homeschooling! Homeschooled students can play on sports teams, attend classes with other local homeschoolers, attend homeschool prom (seriously, it’s a thing), volunteer, and have just about any other typical high school experience. Homeschooled children don’t learn as quickly or as well. The beautiful thing about homeschooling is that it can be tailored any which way to suit a child’s individual learning style — something traditional school curriculums can’t always do. In fact, hundreds of rigid or flexible curriculums exist specifically for kids who learn at home. This means that no matter how a child prefers to learn, or at which pace they do so, there is the right curriculum to fit their needs. Homeschoolers can’t participate in extracurricular activities. 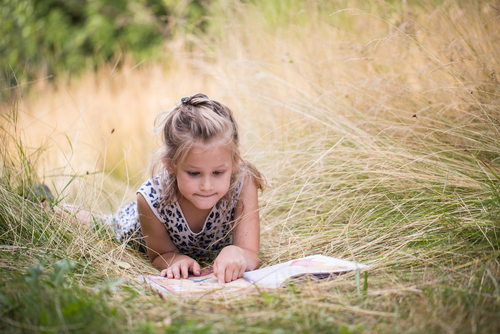 Because homeschooled children are not constantly waiting for an entire class of kids to be ready to move on, they often have more time during the day to participate in extracurricular activities such as playing outside or reading for pleasure. 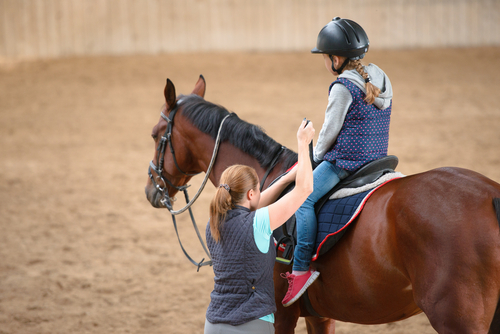 Homeschoolers are frequent fixtures on youth sports teams, and some communities even offer stipends to homeschooling families for students to take part in physical education activities like gymnastics or horseback riding lessons. In other communities, homeschoolers can participate in the extracurricular activities provided by local public or private schools. 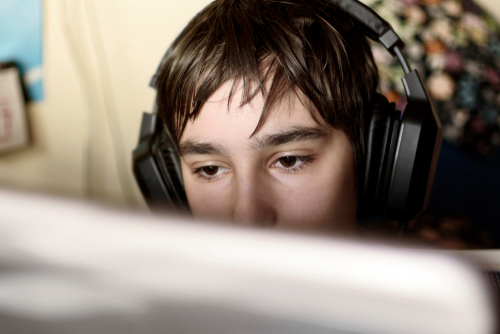 It’s harder for homeschoolers to get into competitive colleges. Many of the country’s most competitive colleges and universities — including UC Berkeley, Yale, and Dartmouth — accept homeschooled students in high numbers, and even seek them out. 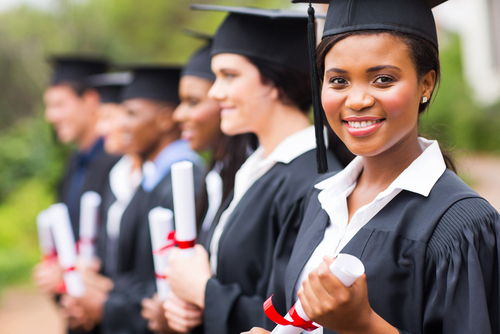 These colleges recognize that homeschooled students often come to college more prepared, more independent, and possessing valuable skills like self-motivation. Homeschoolers dress head to toe in denim. 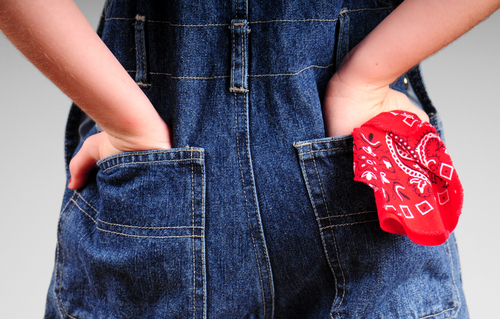 For whatever reason, there is a common image of homeschoolers dressed head to toe in denim: denim jackets, ankle-length denim skirts, overalls, jumpers…you get the picture. However, for most homeschoolers, this is a total myth. Though some co-ops require their students to wear a conservative uniform of collared shirts and long pants or a skirt, denim is no more required or desired than it is for any other kid. On days that students work from home, they’re likely to dress just like any other child. Be honest: aren’t all kids a little weird? Quirkiness is something that is synonymous with childhood, and homeschoolers are no less “weird” or “odd” or “different” than their peers. Homeschoolers are, however, freer to develop interests on their own and without the social pressures of a traditional classroom. If that makes them weird, then we say more kids should be that way! Homeschoolers never experience diversity because homeschooling families are all alike. Homeschoolers come in all shapes and sizes, from all income levels, and from all cultural backgrounds. No two homeschooling families approach the raising and education of their children the same. 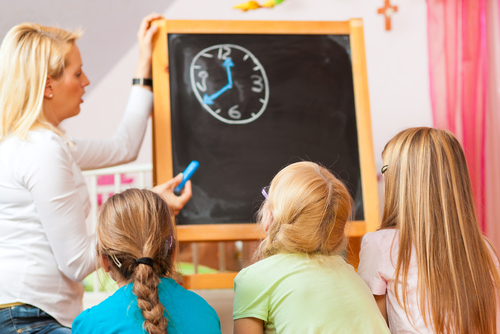 Plus, homeschoolers tend to spend more time in the surrounding community than do their traditionally educated peers, making this just another common misconception about homeschoolers and homeschooling. Homeschooling is only for white people. Very few children in this country are homeschooled. Unless 1.7 million can be considered “very few”, then this is yet another common misconception about homeschoolers and homeschooling. Every year, more and more parents realize that homeschooling prioritizes their children’s needs and goals in ways that traditional schools just can’t. And with the recent influx of school safety issues, we bet the number of homeschooled children will only grow. No kid wants to homeschool. Their parents make them. There are dozens of different reasons to homeschool a child, and many of those reasons are student driven. 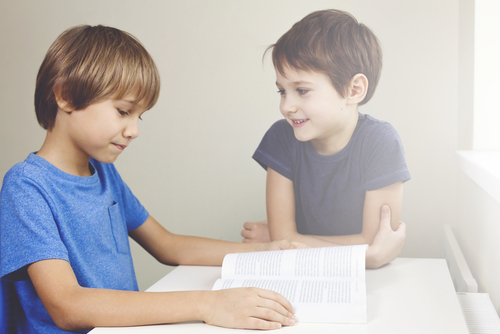 Kids themselves are often the first to recognize that a homeschool education might be better for their social anxiety, learning style, or personal schedule. 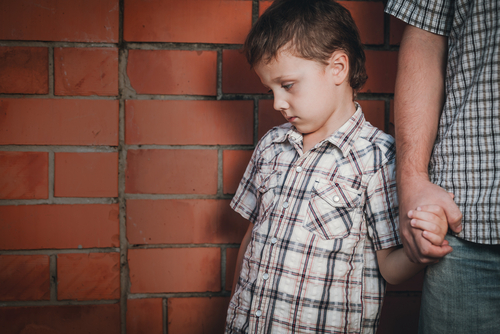 Many kids insist on learning at home to avoid an unhappy or aggressive school culture. Homeschooling takes a lot of work, and in order for a family to find success, the child must be on board one way or another. Thousands of Americans living in the United States and abroad homeschool, but they certainly aren’t the only ones. Homeschooling is very popular in the United Kingdom and France, though the other European countries (except Germany, where homeschooling is illegal) are rapidly catching up. 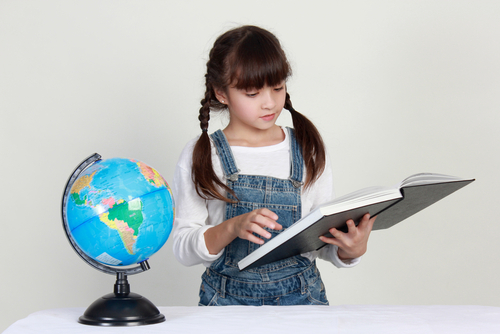 Homeschooling is popular or quickly gaining traction in many other countries, too, including the United Arab Emirates, Saudi Arabia, South Africa, Egypt, Kenya, Ghana, India, Brazil, and China. Homeschooling is totally legal! Many states require that all students — homeschooled or not — meet certain standards, but the fact is that all states allow students to learn from home with a curriculum of their choice. Homeschoolers’ only friends are their siblings. This common misconception likely stems from another assumption often made about homeschoolers: homeschooled kids don’t leave their house much. In reality, a homeschooler’s day is just like that of any other child. 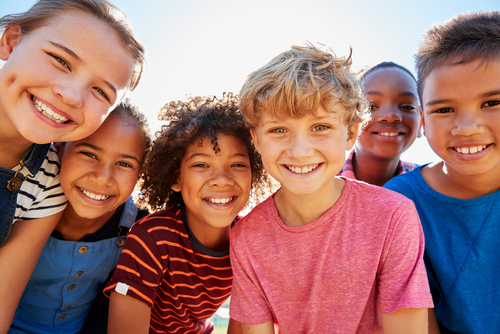 They study at home, yes, but they also take part in sports, church activities, and other extracurricular activities where they spend time around other children their age. Homeschooling parents are helicopter parents. Lots of parents these days are the hovering sort, but helicopter parents definitely aren’t exclusive to the homeschool setting. 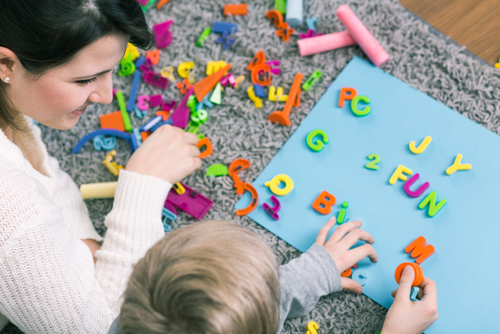 Homeschooling parents vary just as dramatically as parents in traditional school settings: some practically define the term “helicopter parent” while others are more of the free-range sort. All homeschooling families are anti-public school. Many families decide to homeschool because they aren’t comfortable sending their children into today’s public education system. Still, it would be a mistake to assume that all homeschooling families are anti-public school. Children are homeschooled for a variety of reasons. Some are professional actors or athletes, some have learning disabilities that aren’t conducive to a loud and busy classroom, while still others are homeschooling while living abroad. Homeschooled kids have to stick with grade-level standards. Many children are homeschooled because they simply aren’t working at grade level. For some kids, this means that they work more slowly, while others are working at a level far above and beyond their age group. The beautiful thing about homeschooling is that it can be tailored to fit any individual child’s needs, and many curriculums allow subjects to be purchased individually. For example, a homeschooled 5th grader may be working on 5th grade reading and writing, but 4th grade mathematics. Not only is this perfectly normal, it’s even expected. In order to homeschool, a home classroom is required. 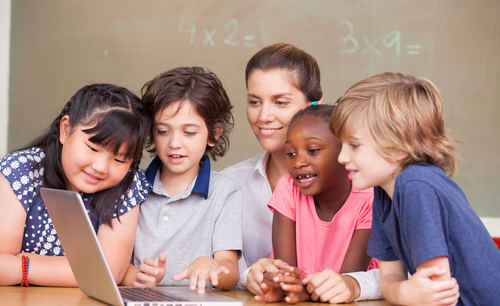 Prospective homeschool families might mistakenly believe that they must set aside a room in their home to be a “classroom” complete with inspirational posters, desks in a row, and the latest Smart Board technology. In reality, homeschool families work in all sorts of places, from the kitchen table to the back seat of the car. A designated space is excellent (and to veteran homeschooling parents, probably preferable), but it’s not required. There’s no difference between homeschooling and unschooling. Unschooling is the controversial educational movement that allows a child to learn whatever they want, when and how they want to learn it. 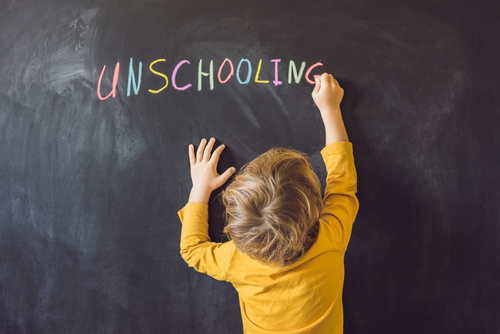 Although many families around the world find success with this method, most homeschooling parents cringe at the word “unschooling.” Homeschooling most often consists of a structured schedule, even if it’s not as structured as a traditional school day. It also includes a curriculum flexible enough to adapt to a child’s interest, yet focused enough to have an end-of-year goal.